Security testing services protects your application from ever growing cyber security threats that exist in the world of technology. With the cyber world becoming more-and-more vulnerable to attacks, security is something that cannot be compromised. In order to develop secure applications, security elements such as integrity, confidentiality, authenticity must be considered and tested. Life cycle of any application development must possess security testing to ensure data leakage, flawless functioning, compliance to standards and security vulnerability assessment. As security attacks have grown exponentially to succeed in this threatening landscape of technology organizations must consider security testing which prevent the application from vulnerabilities. Web Applications in general will hold sensitive business and customer data, to prevent hackers from entering and damaging your networks and applications you must identify where they are vulnerable and take the corrective measures to prevent as well rectifies the gaps in security. Our software security testers are skilled enough to protect your application from security violation or unintended penetration. They will help you ensure your app doesn’t fall victim to common vulnerabilities and take a deeper look to identify any weak points hackers can exploit. Any deals with a mobile app, web app, API, or another platform can be taken care based on coverage of the classes of vulnerabilities identified in the OWASP top 10 categories including the following three areas: Insecure Interaction between components, Risky Resource Management and Porous Defenses. We help you assess the gaps and protect your applications through data leak prevention, static and dynamic masking. 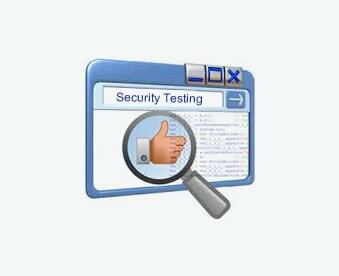 Application security tests can either be a one-time project or can be scheduled on need basis, following application version upgrade or release. We have testing resources that can make sure that your sensitive business data would not be compromised in the face of hacking attempts. If you need our support service outsource your Security Testing projects to us.